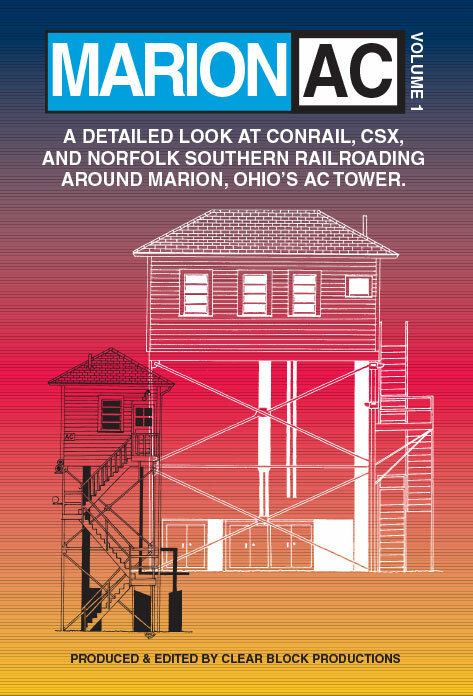 Volume 1 provides a review of Marions early railroad history, a tour of Union Station - now under renovation - a close up around the clock look at Conrail, CSX, and Norfolk Southern operations in the area, and scenes inside AC Tower itself. AC guarded the busy junction at Marion until January 1995, when it closed and was donated to the Depot Association, and moved to its new location. The relocation was very dramatic, and is seen during the final 30 minutes of this program. For Marion action in the 60s and 70s...be sure to check out our EL programs in the Vintage Diesel section. 122 minutes, color, sound, maps, DVD-R format.